Oh, really? What about when you attend a Chamber of Commerce Business After Hours, and introduce yourself to several people? What about when you want to persuade someone that a date with you would be desirable? What about that speech you gave to a civic club last week? In those cases and many more, you are selling yourself. You want results and rewards you don’t have yet. Well, since we are all in sales to some degree, let’s hear from a sales expert, Pat Cohen, residential Realtor with and founding partner of Keller Williams Lanier Partners. During the past twelve years, Pat has consistently reached the multimillion dollar producer level. As all of us know, the residential sales arena has fallen into tough times. In Georgia and across the nation, numerous residential realtors have transitioned to other professions. Not Pat Cohen. Not only has she endured, she has prospered. 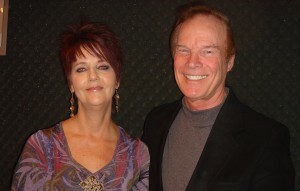 To learn why, and to determine how her sales strategies will help us professionally, I interviewed Pat on WBCX, 89.1 FM, “The Voice of Brenau,” in my weekly program, “The Communication Corner.” As expected, Pat traced her career through its inevitable high times and through its more demanding down times. Then she outlined the tools, attitudes, and practices required for sales success. Just click the arrow below in the Podcast section of this blog page, located just above the Audio MP3 lettering. While you’re on her site, be sure to sign up for her online newsletter. We welcome your comments about Pat Cohen’s interview. Just go to the end of the blog entry in the section below and click NO COMMENTS if none have been made, or if comments have been made click 1 comment, 2 comments, or whatever the comments button says. The comments section will appear. I invite you to access my previous WBCX-FM interviews by scrolling back through the various posts. And you can initiate a steady feed of new articles by clicking the RSS button at the top right of this page. How important is motivation to sales success? You know the answer. Only when you remain highly motivated–even during rejections, slumps, contract cancellations, and broken appointments–will you become a sales leader. Definitely, as you increase your level of motivation you will boost your chances for superlative selling.